At a time when it feels like hotels are popping up on every street, where do we turn when demand is shrinking but ownership expectations are still growing? Join us at our next HSMAI event of 2018 as we host several outstanding speakers that will discuss how to be successful in a market with rapidly growing new supply. During this program, we will discuss how to analyze a new hotel in your competitive set, understanding how to create specific strategies that can be used to combat new properties from disrupting your transient and group business, and what you can do to grow rate and occupancy even in distressed periods. For this event, make sure to bring lots of questions as you will have a chance to ask some of the industry’s top experts on the matter how you can be successful in these extra-competitive times! Deborah Surden currently serves as Director of Market Management for Expedia Group. In this role Deborah leads a team responsible for the account management and strategy implementation for the lodging portfolio in the New York City market. 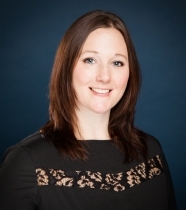 Deborah first joined Expedia Group as an area manager in December 2014. Prior to joining Expedia Group Deborah had over 10 years of experience in revenue management working for Starwood Hotels & Resorts in several hotels in the Boston and New York metro areas. She got her start as a one of the first revenue management trainees in the company at the Sheraton Boston Hotel. Her former role was as the director of revenue management at W New York, the flagship and largest W Hotel in the brand portfolio. Deborah graduated with distinction and with honors from The Pennsylvania State University Schreyer Honors College with a Bachelor of Science in Hotel, Restaurant & Institutional Management. She was most recently the recipient of the 2017 Greater New York HSMAI Hospitality Professional of the Year. Deborah has also been awarded the 2015 Penn State Hotel & Restaurant Society Emerging Professional Award for Undergraduates. 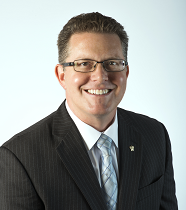 Emile Gourieux is Hotel Sector Business Development Executive for STR (STR, Inc.). STR provides clients from multiple market sectors with premium, global data benchmarking, analytics and marketplace insights. Founded in 1985, STR maintains a presence in 15 countries around the world with a corporate North American headquarters in Hendersonville, Tennessee, and an international headquarters in London, England. Mr. Gourieux is responsible for growing STR’s network of hotel partners and strengthening their overall data set. Along with increasing the volume of hotel room-related data, Mr. Gourieux also champions efforts to expand benchmark reporting in categories such as Food & Beverage, Guest Segmentation, and Operating Statistics. Prior to joining STR, Mr. Gourieux managed luxury hotels on California’s Central Coast for nearly 15 years. Most recently he was Director of Business Development at JPMorgan Chase where he designed marketing campaigns for hotels and resorts around the world. Mr. Gourieux holds a Bachelor of Arts degree from California State University in Liberal Studies and Spanish. He resides in Nashville, TN with his wife and daughter. 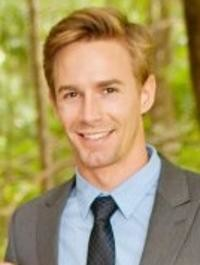 Evan Holmes joined TravelClick two years ago as Market Director for San Diego & Hawaii. He is now supporting key hotel management companies and owner groups across the Western US & Hawaii, guiding them to successful and profitable decisions through TravelClick’s exclusive data and insights. Evan has a BA in New Media & Technology from Northern Michigan University, and in his free time enjoys surfing, hiking, and camping in the Sierra Nevada mountains.